The series is comprised of 5 workshops on how other U.S. cities are turning their water challenges into water assets and is designed to provide insight into innovative and affordable stormwater management practices in other cities throughout the United States. Experts in their field from similar cities will illustrate how they found new and sustainable solutions to their water-related infrastructure challenges. At the conclusion of the series, we’ll focus on lessons learned and what practices New Orleans may want to adopt from cities with similar experiences. 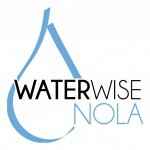 The series is hosted by The Greater New Orleans Foundation in partnership with The Urban Institute and over 30 local partners including Louisiana Urban Stormwater Coalition.